Stress can be a real killer, both in the workplace and in our day to day lives. Stress serves a essential purpose in human biology, but our modern lives have brought about a surplus of causes that haunt us from day to day. When we are faced with a challenge, or a threat to our well-being, the body experiences stress. Whether you’re dealing with a job that puts you under tremendous pressure, or face struggles in your life or relationship that leave you in a state of constant worry, stress can be a real killer. International Stress Awareness Day was set aside as time to be aware of the stress in our lives and how it affects us. International Stress Awareness Day was established by the International Stress Management Association (ISMA) to help provide information on stress, and strategies on how to address it for both companies and individuals. The organization is focused on helping employers and employees help each other by providing comprehensive guides to establishing a program within their organization, and individuals by looking after their health and well-being on a day to day basis. International Stress Awareness Day is your opportunity to start looking after yourself and your life, and break down the individual stressors in your life. Failure to deal with stress in your life effectively can lead to serious health problems, including increased blood pressure, susceptibility to heart disease, and a decline in your immune system. Once you start experiencing these symptoms they can landslide into each other, resulting in growing sickness, and by extension, more stress. It’s truly a self-feeding problem, and a cycle that is necessary to control to enjoy our lives. The best way to participate in the International Stress Awareness Day is to take the opportunity to remove the stress from your life for the day. Take the time to examine your life and find out where all the stressors lie, and start looking into taking steps to remove them or find ways to mitigate them. Removing stress from your life can start off as a stressful experience, so it can help to get the assistance from organizations like ISMA to look into strategies and support in how to manage those things in your life that cause stress. Whatever you choose to do, take the time to take a day off and let yourself have a day of freedom. If it’s sickness, do something to help you focus on something other than that sickness. Stress can be a killer, don’t let it take one more day from your life, act now and start living a stress free life! 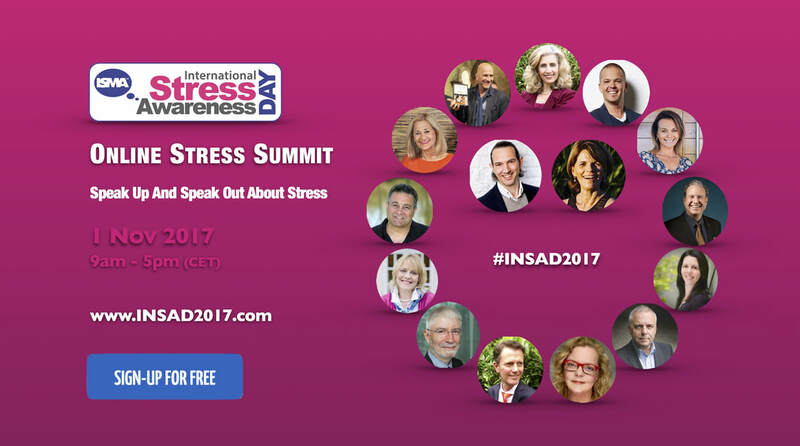 Chair of the Internationals Stress Management Association (ISMA) and founder of the International Stress Awareness Day (INSAD).